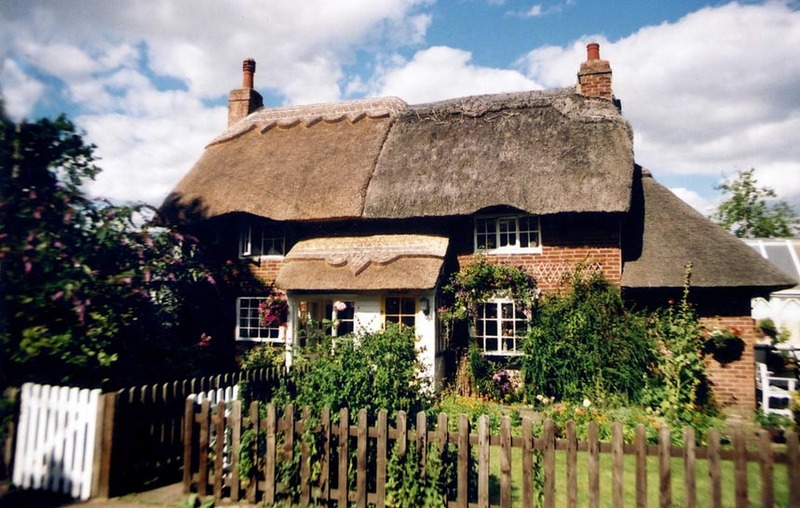 These two counties lie at the southern edge, of the Northern thatching tradition. As the boarded and rolled gables hereabouts, still testify. 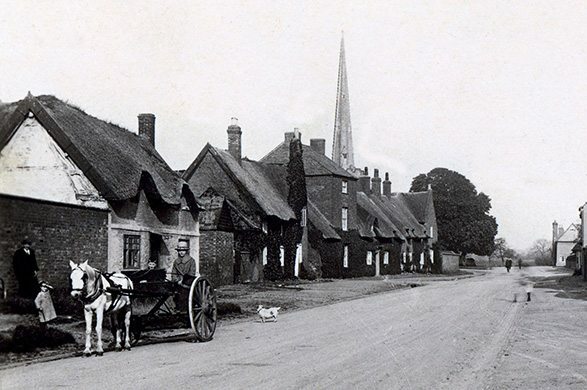 Also turf ridges were once to be seen; especially in Leicestershire. Here Charles Innocent noted the use of the stobbing method, a century ago. Known locally as Stingeing; the thatchers using a forked Stincher or Stinger, to push the thatch up into place. Historically, long straw was the dominant material, more than a few examples are still to be found. 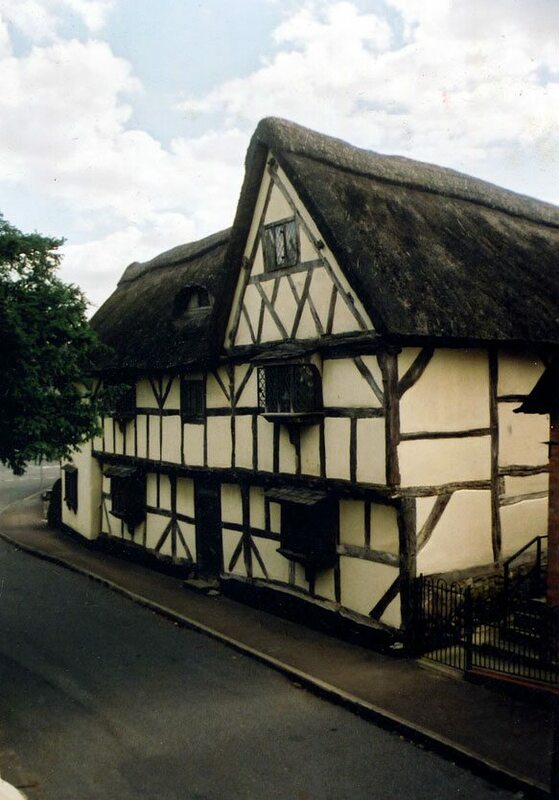 A Mr Pitt, in his Agricultural Report noted, that in 1786, for: ‘threshing wheat and binding the straw’, workers were paid between four and five pennies, for each bushel (35 litres), of grain produced. This hand threshed straw must have coated many a roof, in these two counties. 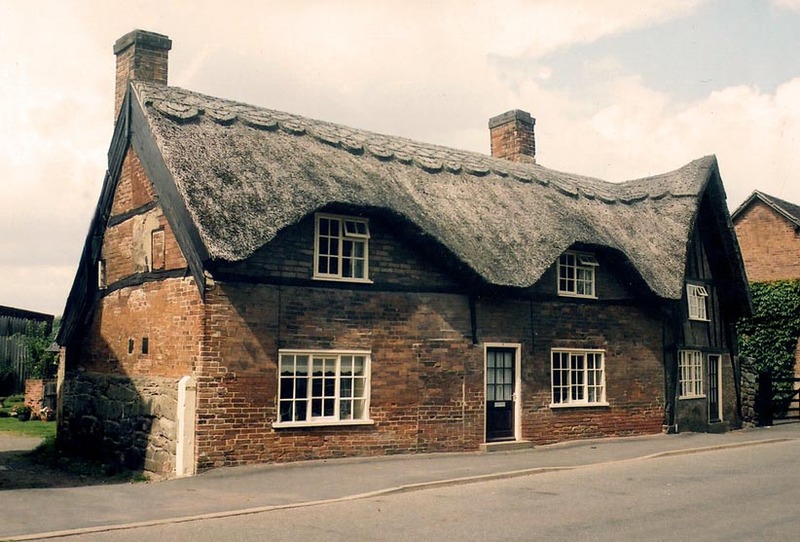 Tudor thatch… A very attractive Elizabethan farmhouse, at Shearsby, in southern Leicestershire. Not far away, the old Roman road of Watling Street, forms the south western boundary, for this county and the Northern thatching tradition. 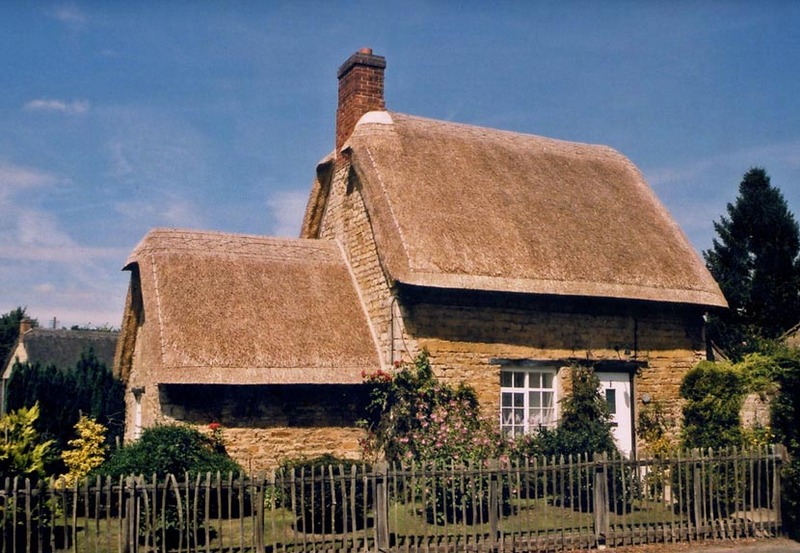 Rutland thatch… The left cottage at Langham, sports a plain roof, in long straw. 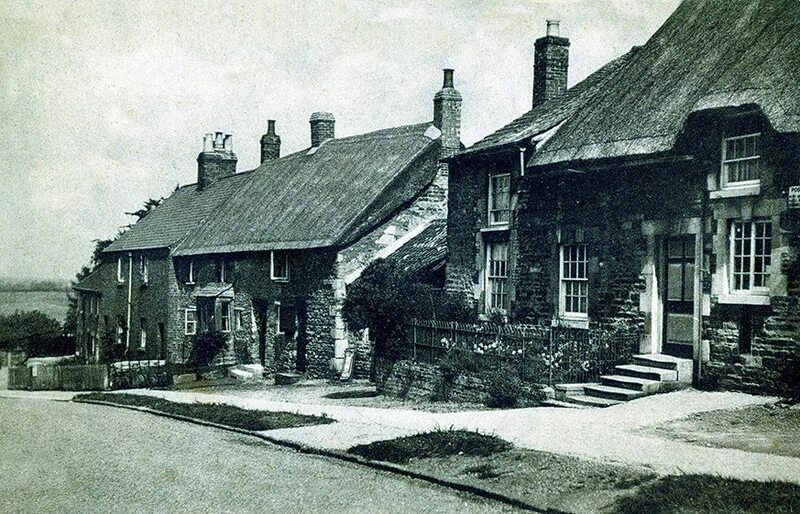 Similar to the roofs at Manton, above, in around 1910. 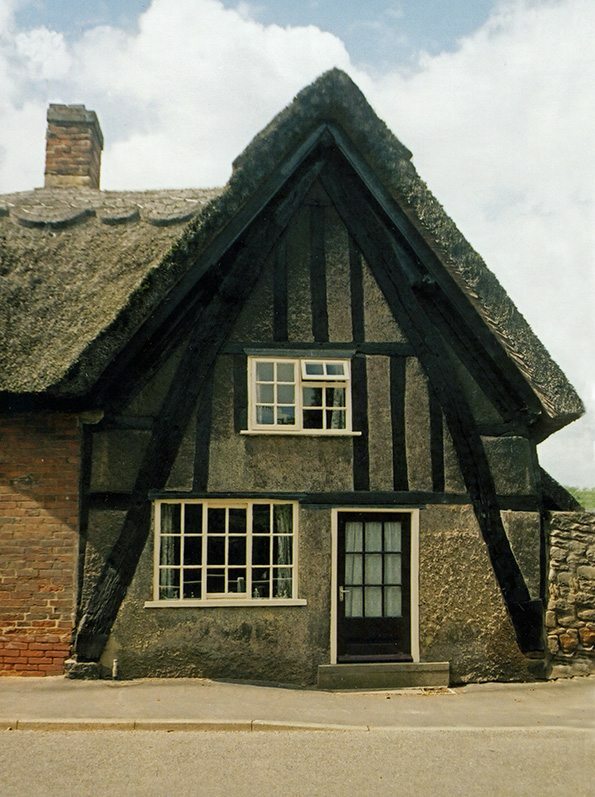 The gable end on the middle cottage shows a thick multilayered roof. Seen in a good many old images of this county. 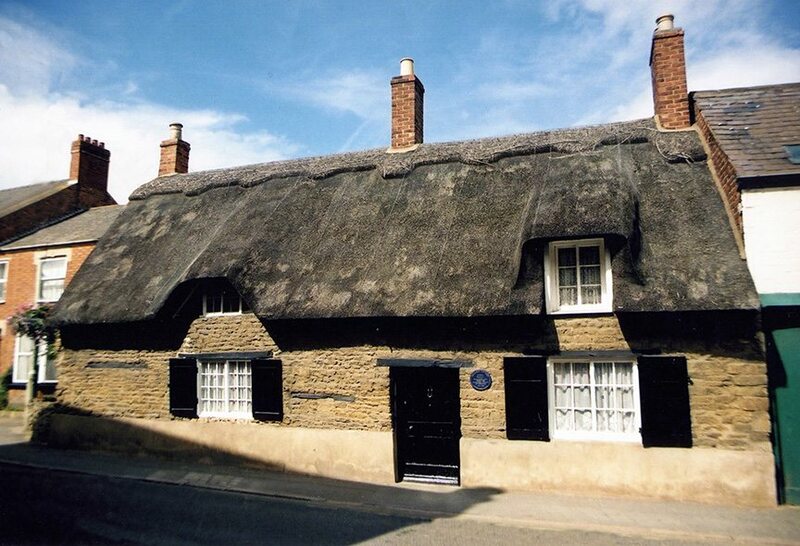 Being similar to thatch in Yorkshire. Rolled gables… At Whissendine. 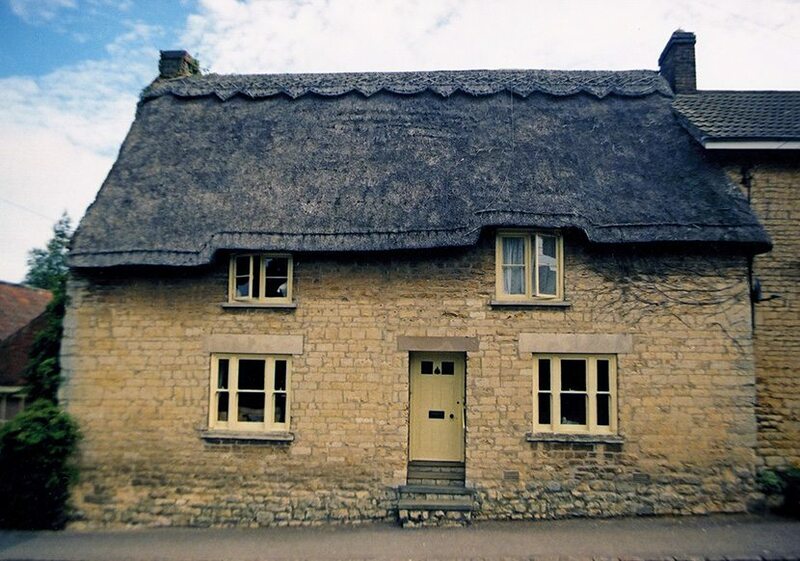 This Rutland cottage, is newly coated, in combed wheat reed. 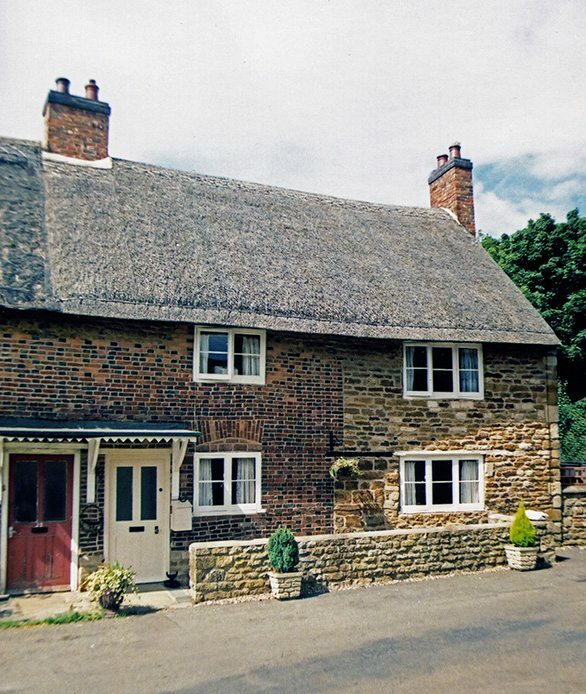 But the thatcher has kept to a traditional design, on the gables. Old & new thatch… at Peatling Parva, in combed wheat reed. 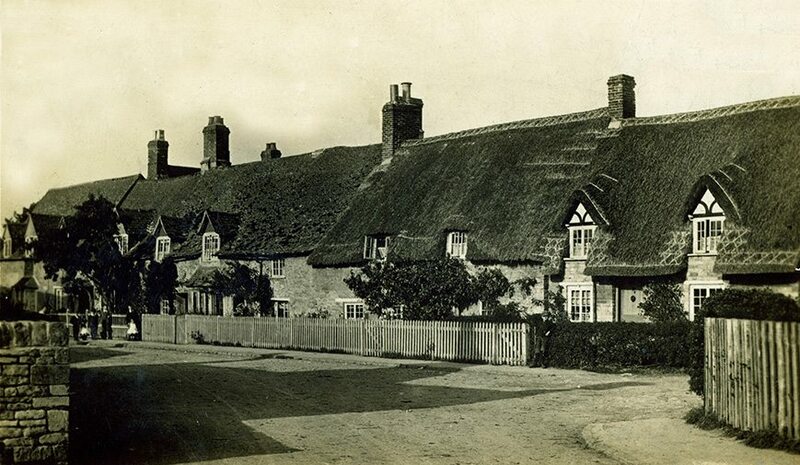 Leicestershire turf… At Queniborough, in around 1915. 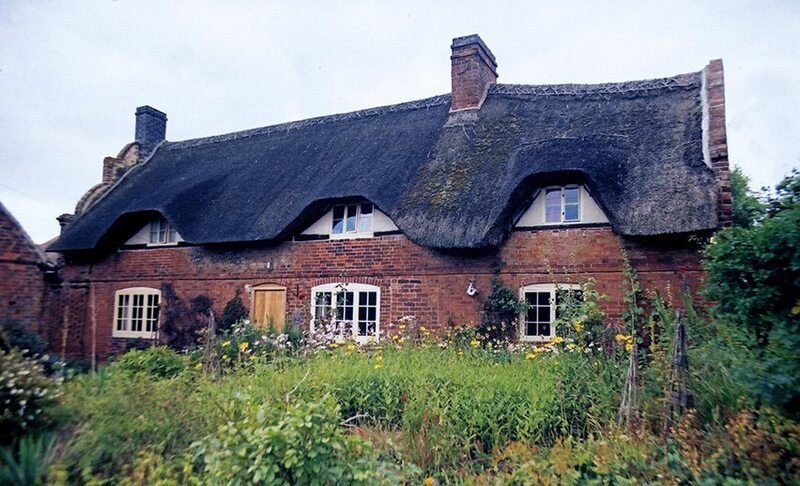 The near and centre thatches, are turf ridged. 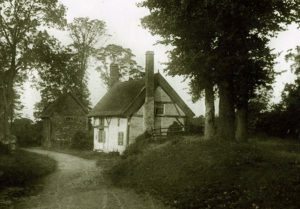 The far block of cottages are topped with mortar. 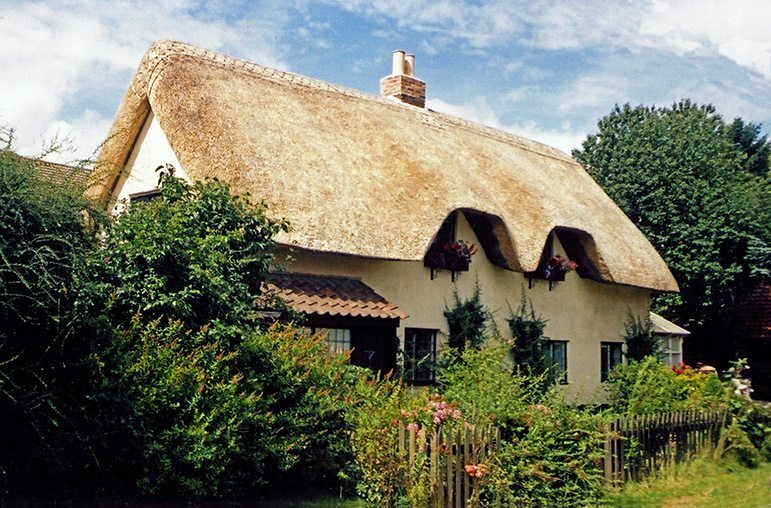 It could well be that shortages, during the First World War, caused a return to more traditional thatching methods. Boarded and brick… Leicestershire gables. 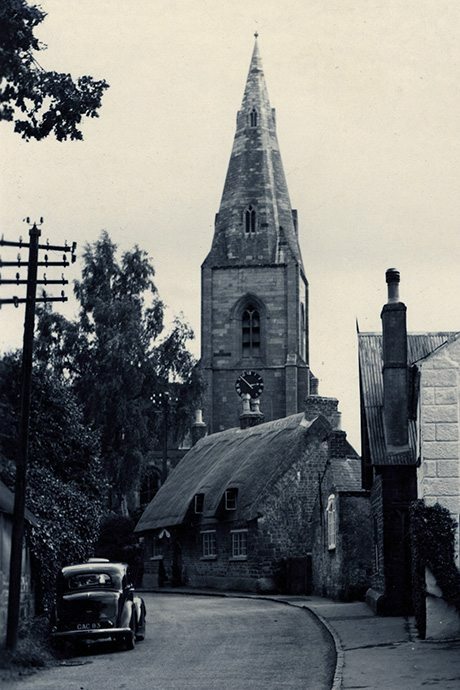 The right hand, quiet lane, at Braunstone, shows a wide, boarded gable end. 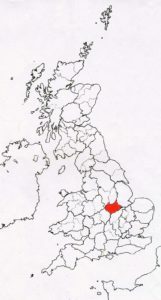 Still found extensively, in this county. This scene has changed, in the century since this photo was taken. The area being swallowed up, by the nearby City of Leicester, between the World Wars. But some thatch remains. The upper cottage, at Appleby Magna, has brick gables. The far left one being of a Dutch design. Rarely seen with thatch. Constructed by one ‘HMS’ in 1693. According to a date stone.